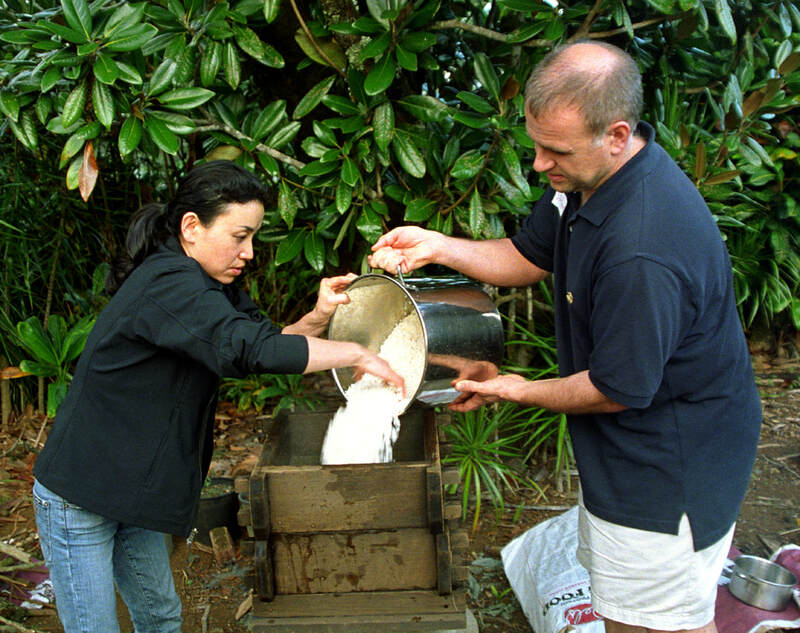 The rice is washed and soaked for 3 days. 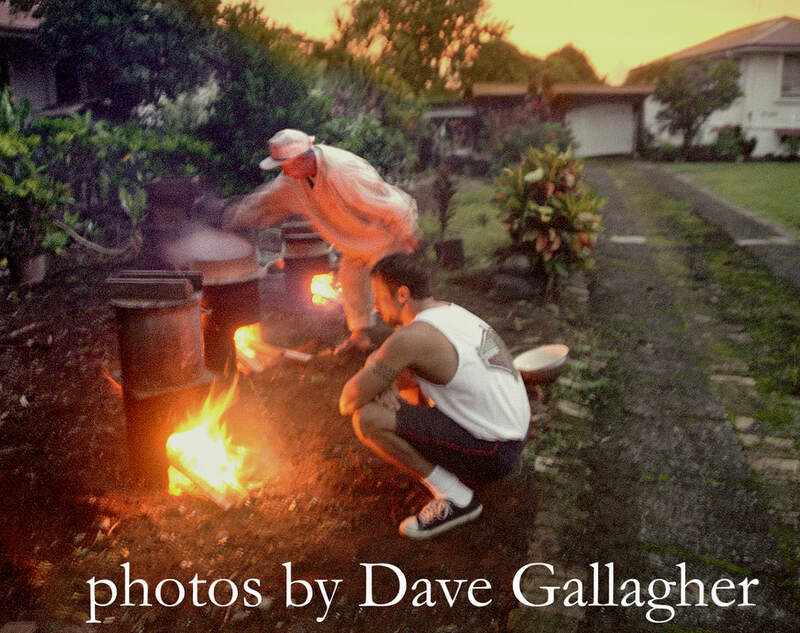 At 6:30 a.m. the fire is built then the rice is transferred into steaming boxes where it is stacked above pots of boiling water. 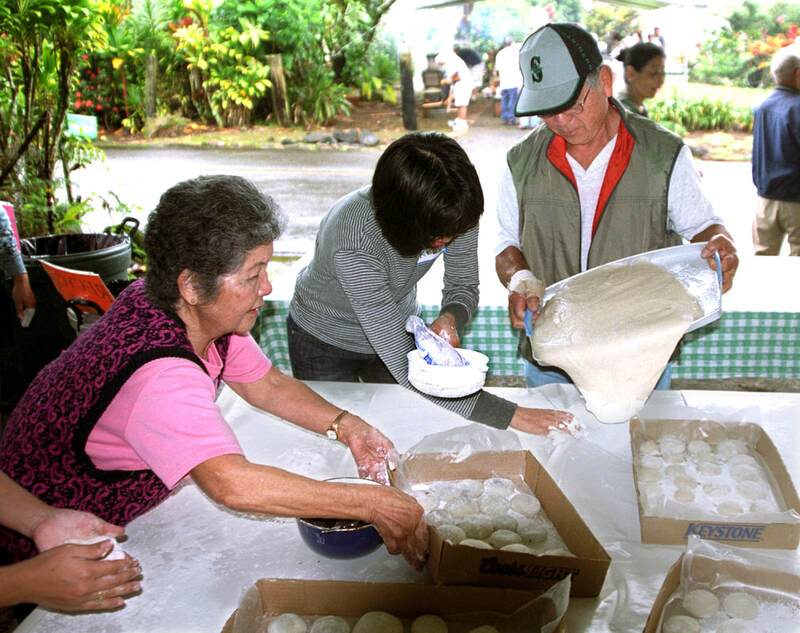 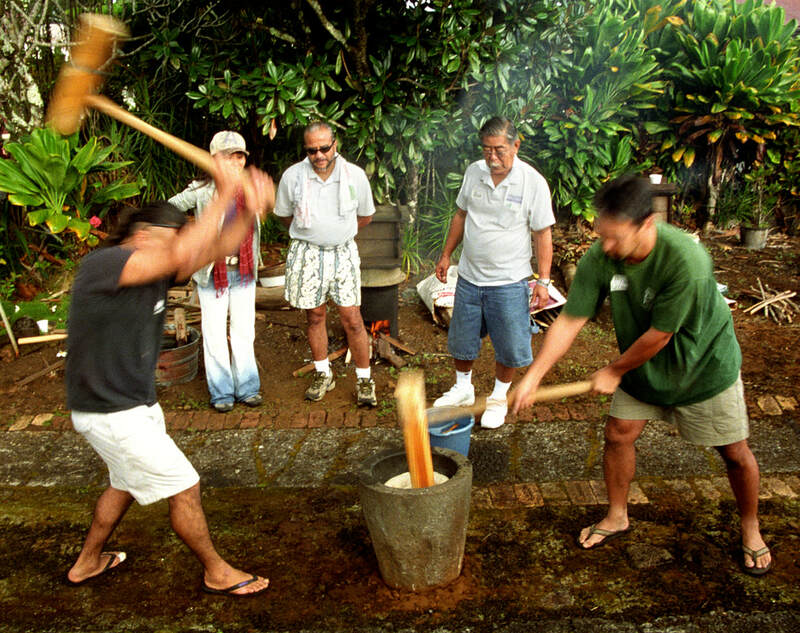 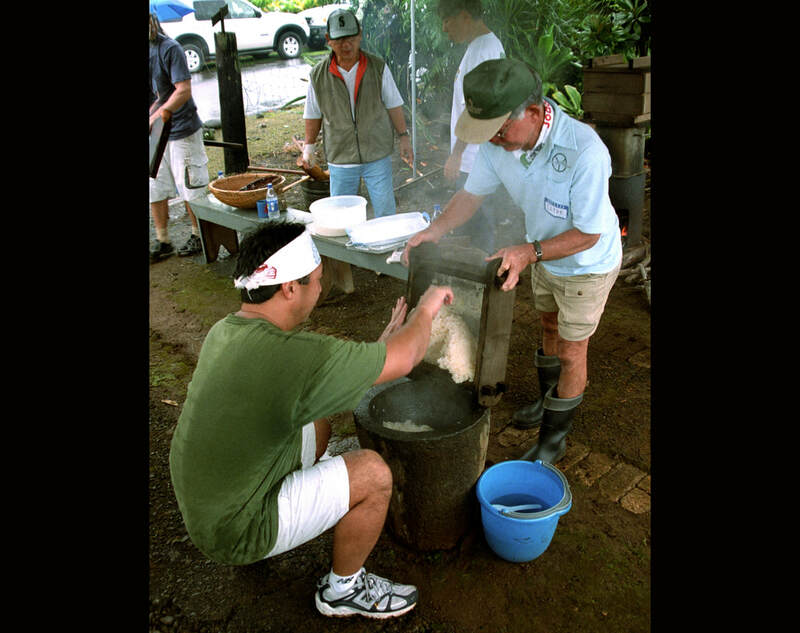 ​The cooked rice is transferred to the Usu (stone mortar) and pounded with Kine (mallets) until the proper mochi consistency is achieved. 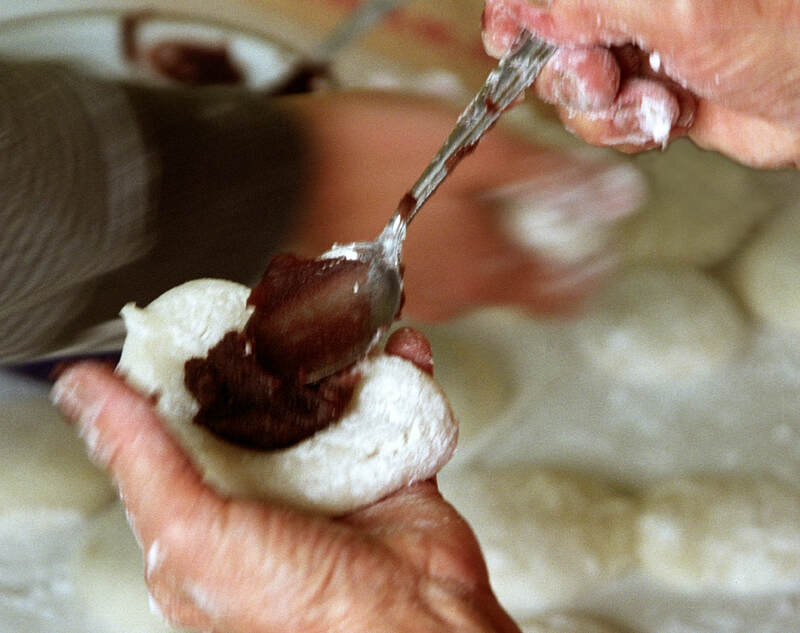 ​The hot Mochi is taken to the workers who cut it into uniform pieces then form it into the traditional rounded shape, plain or filled with red bean paste (anko).